Article: The Cast Of “Stuck In The Middle” Had A Fantastic Time At Disney’s Jungle Ball! So many of our favorite Disney Channel stars had a phenomenal time at Disney Channel and Disney XD’s super fun Jungle Ball. The Stuck in the Middle cast including Jenna Ortega, Ronni Hawk, Kayla Maisonet, Isaak Presley, Ariana Greenblatt, Nicolas Bechtel, and Malachi Barton all looked outstanding and had a blast being reunited with each other at the awesome party. The cast-members had a great time dancing the night away and taking some excellent photos at the photo-booth. Let’s take a look at what some of the cast-members shared on social media of their exceptional time at the event. 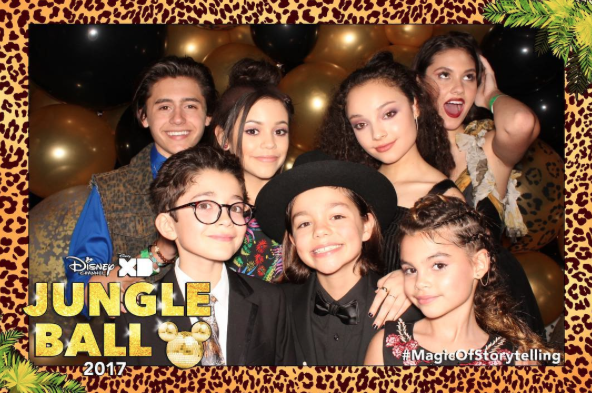 It looks like the cast of Stuck in the Middle had an incredible time at Jungle Ball! Comment below and tell me or tweet me at @alexisjoyvipacc, did you see “Stuck in the Waterpark?” What did you think of it? Next VIPAccessEXCLUSIVE: Alexisjoyvipaccess Attends The Los Angeles Times’ Announcement Of A Month Long Food Festival – The LA Food Bowl – Recap Here!